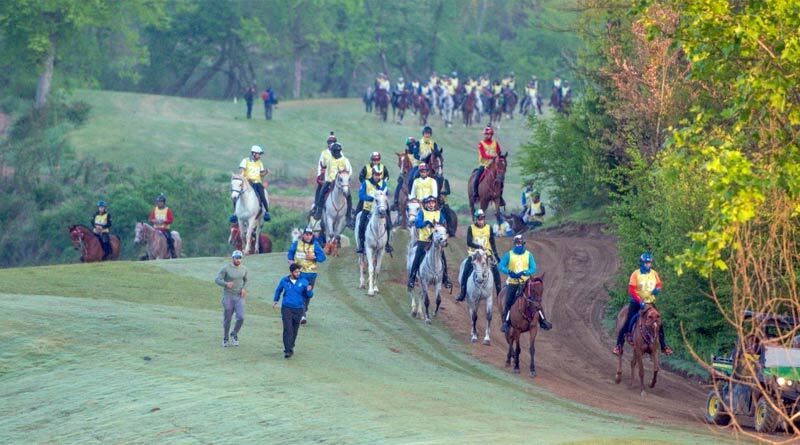 Competitors at the endurance test event at the Tryon International Endurance Center in May. Ibáñez said the FEI invested close to 1 million Swiss francs on the endurance track alone, over and above other financial support provided by the FEI to the Organising Committee to ensure the Games happened. In-keeping with good financial oversight, the FEI had made financial provisions specifically to cover emergency situations specifically related to the Games. The question of reimbursements to National Federations that sent endurance athletes and horses to the Games was also brought up during the session.